Insurance is one of the most overlooked aspects of a technology contract, leaving customers vulnerable to uninsured risks. The 90-minute interactive CLE webinar will provide guidance to business and technology counsel for drafting insurance requirement provisions in technology contracts. The speaker will discuss how to negotiate the appropriate type and amount of insurance coverage—from commercial general liability to cyber liability to umbrella polices—to properly allocate and mitigate risk when contracting for IT services or software development. "Insurance is one of the most overlooked aspects of a technology contract, leaving customers vulnerable to uninsured risks. Contracts for IT services or software development should require one or both parties to purchase minimum levels of insurance to cover the risk of reasonably foreseeable losses,” said Robert Scott. There are several different types of insurance contracting parties should consider when negotiating technology contracts, including commercial general liability, E&O coverage, automobile liability, cyber liability and more. Counsel must understand the different types of insurance appropriate for various scenarios, how each provision works within the contract, and when and how to negotiate individual and aggregate limits based on the types of risks involved. Mr. Scott will cover best practices for drafting insurance requirement provisions in technology contracts including how to evaluate the appropriate type and amount of insurance coverage. Questions as to which insurance provisions are key to properly allocate risk and whether specialty insurance is necessary to protect against certain losses will be answered. 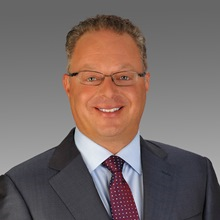 Robert represents mid-market and large enterprise companies in software license transactions and disputes with major software publishers such as Adobe, IBM, Microsoft, Oracle and SAP. He has defended over 225 software audit matters initiated by software piracy trade groups such as BSA | The Software Alliance and the Software & Information Industry Association (SIIA). He is counsel to some of the world’s largest corporations on information technology matters including intellectual property licensing, risk management, data privacy, and outsourcing. He is regularly called upon by his peers and the media to share his expertise. Scott & Scott, LLP (http://www.scottandscottllp.com) is counsel to some of the world’s largest corporations including PepsiCo, American Express, and Xerox. The firm has achieved “go-to” status for software licensing transactions and disputes involving the major software publishers including Microsoft, Adobe, Oracle and Autodesk.